Relax & Enjoy Fine Food…….. Located 1 mile from Samuels Heritage B &amp; B .It is rated as one of the Top 10 great pub gardens in the british isles and the best gastro pub in Waterford. Jack Meades has an old world bar dating back to 1705 and a modern large bar with an extensive beer garden including a children’s play area that serves food throughout the day. Located less than 1 mile from Samuels Heritage B & B. 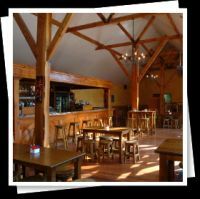 Local bar and restaurant serving food all day with a wide selection of hot dishes, salads, range of sandwiches and soups to suit the needs of adults and families. Located 1 ½ miles from Samuels Heritage B & B. This bar serves morning coffee and scones, a lunchtime menu and an evening menu of steaks, burgers, selection of fish dishes, bbq ribs, salads and light dishes with a Mediterranean style. Located 2 miles from Samuels Heritage B & B. Loko selects authentic irish local produce and creates dishes with a global outlook. The menu is extensive and gives excellent choice to all ages to suit almost every palate. 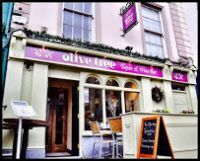 Located 3 ½ miles from Samuels Heritage B & B in Waterford’s city centre. This is the first tapas bar and restaurant in the city opened November 2013. It has become very popular with locals and tourists and offers great value for money with a fun night out. Located 3 ½ miles from Samuels Heritage B & B. This new bar and restaurant opened in November 2013 is at the centre of the Viking Triangle.The reg serves food all day everyday from 12.00 noon to 9.00pm. This is a very popular meeting place and on most evenings there is music and entertainment. Located 7 miles from Samuels Heritage B & B in the seaside village of Dunmore East. This bar and restaurant commands beautiful vistas of the sea in a relaxing atmosphere. They have a wide selection of dishes but have a wide range of fish dishes produces from the catch of the day landed at the local harbour.